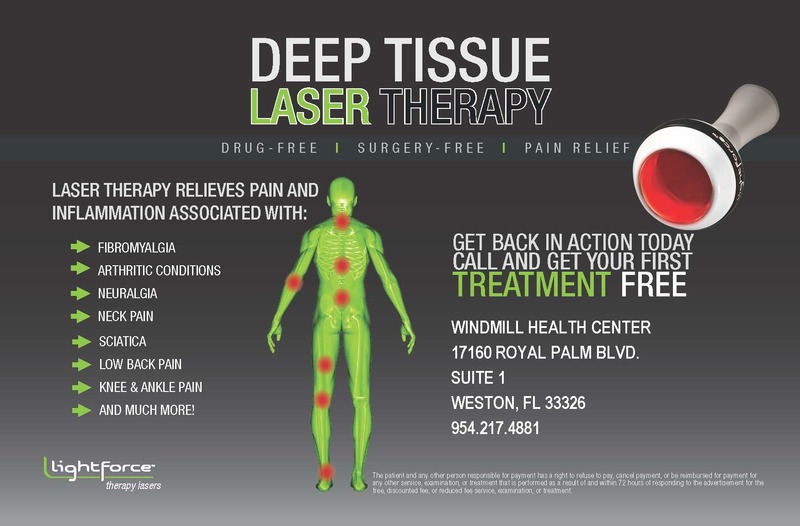 Windmill Health Center located in Weston, FL is proud to provide the highest level of pain relief with the LightForce™ Pro Deep Tissue Therapy Laser. Laser Therapy is clinically proven to reduce pain and inflammation associated with many common musculoskeletal conditions, such as neck and lower back pain, sports injuries, arthritis, bursitis, tendonitis, carpal tunnel, Fibromyalgia, Shingles and plantar fasciitis, to name a few . Laser Therapy is endorsed by professional clinical organizations, including the World Health Organization (WHO), American Physical Therapy Association (APTA), and the International Association for the Study of Pain (IASP®) and over 3,000 research studies have been conducted in the field. The LightForce™ Deep Tissue Therapy Laser by LiteCure® Medical is FDA cleared and represents a great advance in medical technology. Windmill Health Center is proud to provide another effective treatment option to our patients with this latest proven technology. I read this article and found it very interesting, thought it might be something for you. 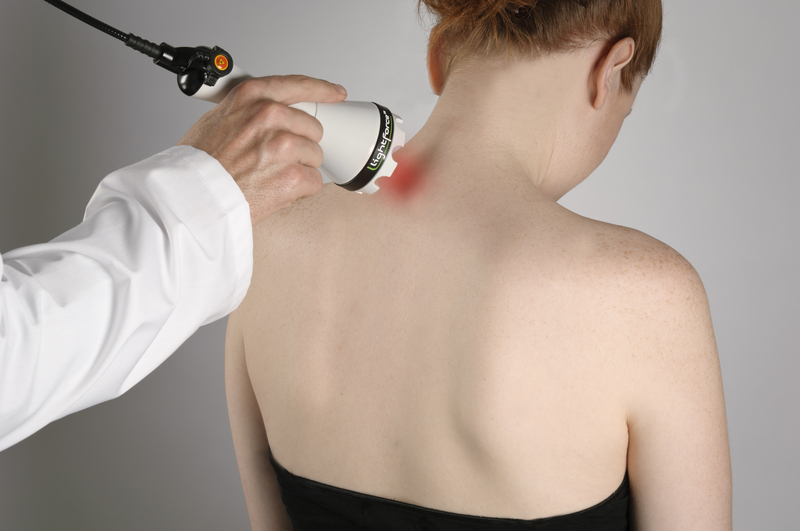 The article is called Therapeutic Laser Therapy and is located at http://www.windmillhealthcenter.com/therapeutic-laser-therapy/.